If you have a question that is not listed below, please use the contact form to get in touch. We currently sell our collection through Baublebible.com and our stockists. If you are interested to be our stockist, please contact us. Sign up for a notification - it's an easy way to find out when sold out items have been restocked. If that necklace you've fallen in love with is sold out or that ring you're dying to have is no longer available, just drop us an email for restock notification. That way, whenever the item comes back, you'll be the first person to find out! Can I place bulk order / wholesale? Yes, we accept bulk order. We offer brilliant trade rates for shops who want to stock Bauble Bible jewellery. I have a coupon code. How to use it? Click here to see the step-by-step guide on how to use your coupon code. How can others view my wish list? How do I share it? For your privacy, your wish list can’t be searched or accessed by others on the site. However, you can share your wish list with family and friends! Once you’ve opened your wish list, you can email and share through Facebook, Twitter to anyone you want. We recommend children under 3 years of age be supervised at all times. Never leave a child under the age of three unattended while wearing any jewelry product. Remove all jewelry before napping, riding in a car seat, bath-time, unattended playtime, or bedtime. 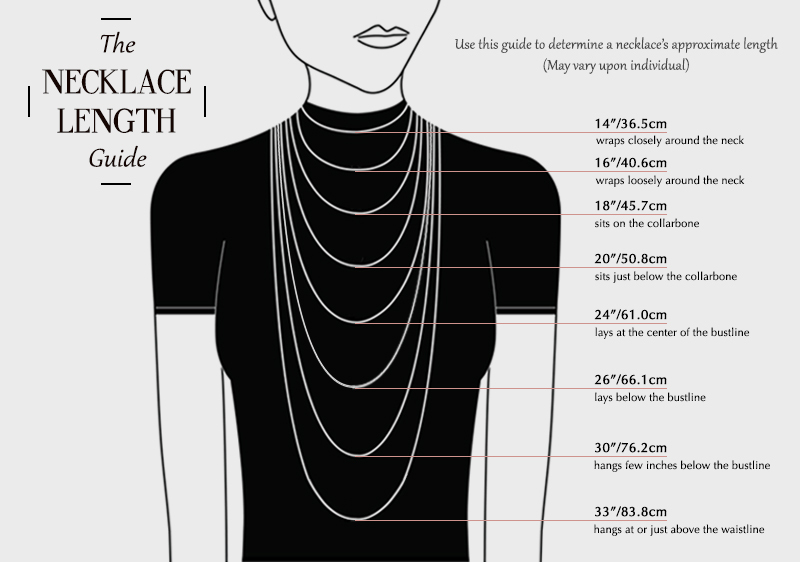 Do you have any length guide for necklace? 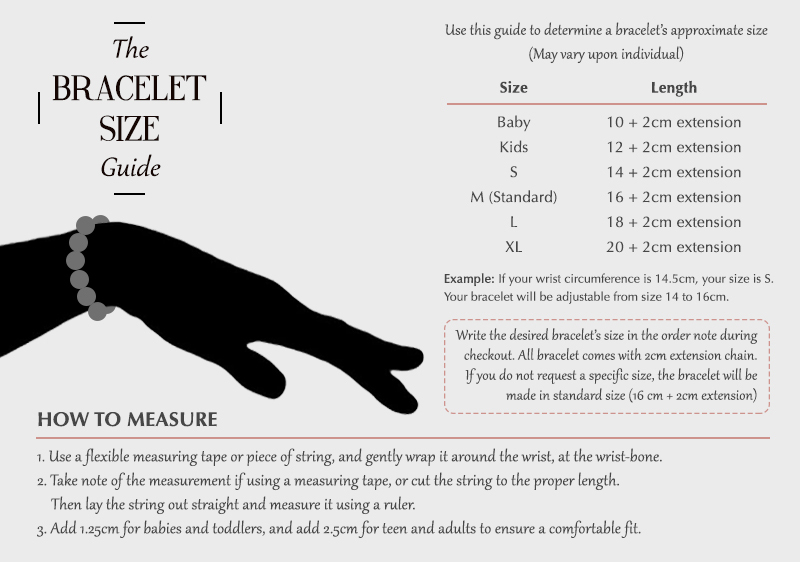 Do you have any size guide for bracelet? Do you have any size guide for ring? Download our printable ring sizer. There are three accurate measuring techniques to determine your ring size or the ring size of your loved one. However, most of our rings are free size (Adjustable to fit most ring sizes) with an open back ring band. Currently, we receive payment through bank transfer and credit card for local orders and Paypal for international orders. Yes, many Bauble Bible customers come from overseas. We ship to every parts in the world you live! International orders are sent out next working day after payment via TNT courier service. Please note that any Customs Fees incurred are the responsibility of the buyer. Your order is processed as soon as possible. However, if you have not made your payment and would like to cancel your order, please contact us immediately. If an item is marked 'Sale,' this means that it cannot be returned or exchanged. Store credit or a refund will not be issued for any returned 'Sale' items. What discounts are always available? New member: When you sign up to our newsletter, check your email for a welcome promo code. Follow our Instagram @Baublebible and check your DMs within 1-2 business days for a promo code. For tons of other discount opportunities, keep up-to-date with us in all channels: Facebook, Email, IG, etc! Please understand that since all Bauble Bible jewelry are handcrafted and not mass produced, slight variations from the product photographs is not considered a flaw and therefore is not a reason for refund or exchange. No returns are accepted without previous authorization. If you receive a wrong or faulty item: If you have received a wrong or faulty item that has been an error on our part, please contact us immediately along with photos of the item and the order ID to info@baublebible.com within 24 hours of receiving your order for possible inspection at Bauble Bible’s discretion. Any claim made outside of this period will not be accepted. Returned items must be returned within 2 days of order, unused in its original box and packaging. Return costs are the responsibility of the buyer - it is strongly advised that you insure your return package to us as Bauble Bible will not be liable for items lost in the post. We will either repair or replace the item, or we may offer you a product exchange or store credit only when we receive the returned product. If you wish to return or exchange an item: We cannot refund or exchange goods for change of mind or errors you made in your order. We do not provide size exchanges. We cannot provide returns for earrings due to hygiene purposes. We do not provide cash refunds for returns, only credits and exchanges. All sale items are final. All sale items are non-changeable and non-refundable. Still not sure, or need to know more? Drop us an email to info@baublebible.com or fill the contact form. We're here to give you a hand!